Now, there is only one facility for launching rockets into space here in Brazil, and that is the Alcântara Launch Center…and I can almost see the ALC from my house. We are closer to the base than Sarah Palin is to Russia. Now, avid readers of this blog may remember seeing the name “Alcântara” before. That’s because the city of Alcântara is home to a wonderful historical district which I have visited several times. 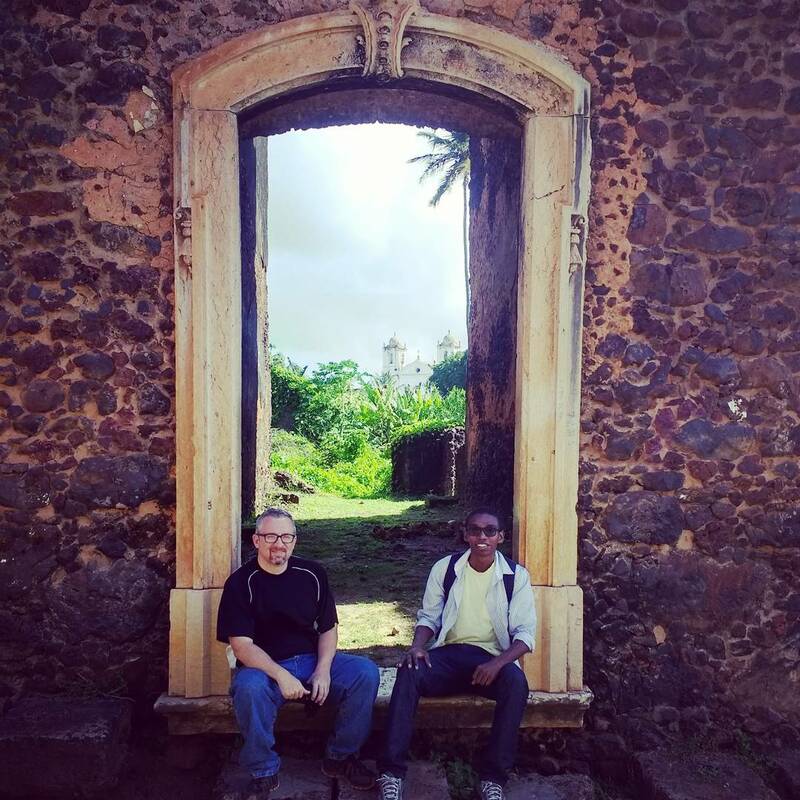 Our co-worker Francivaldo and myself among the ruins of Alcântara. So what does this mean for Brazil and the US? Well, for starters, its proximity to the equator makes the ALC ideal for launching satelite-bearing rockets. This has to do with the amount of fuel needed. So what happens because of this treaty? 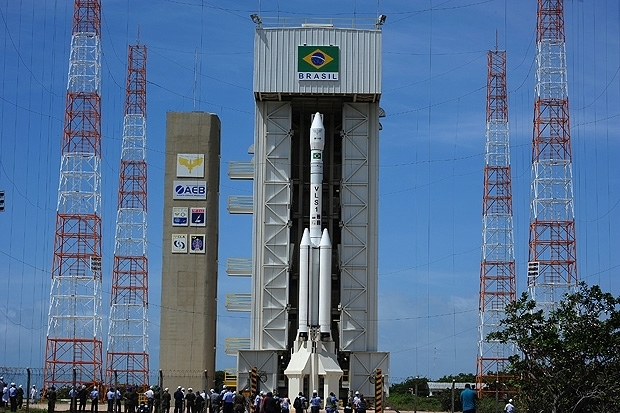 Basically two things: 1) US companies will, in essence, rent the Alcântara base, using it to launch commercial satelites, and 2) NASA and the Brazilian space agency (AEB). There are also safe-guards in place to protect American technology. The reaction of Brazilians has been varied. Translation: I like this a lot. The meeting between presidents Bolsonaro and Trump was historic, and could mark the beginning of a new, optimistic phase for the Brazilian economy. I hope our science and technology get a good advancement from this agreement. Translation: This is a rocket against national sovereignty. If he had his way, Bolsonaro would hand over the Alcântara base and the surrounding area to the US. This bowing without requiring anything in return is incredible. 1) The influx of American business doing business at Alcântara will mean an up-tick in the local economy. This will mean more jobs available to those in our churches, which in turn will mean more economic independence for the churches themselves. 2) American business will bring Americans. This will raise awareness for our area (we are currently not well-known, even among other regions of Brazil), put our own English-speaking skills in demand, and could even open ministry opportunities of an international scope. Personally, I’m very excited about this proposition, and sincerely hope it is more than just nice words on some paper.